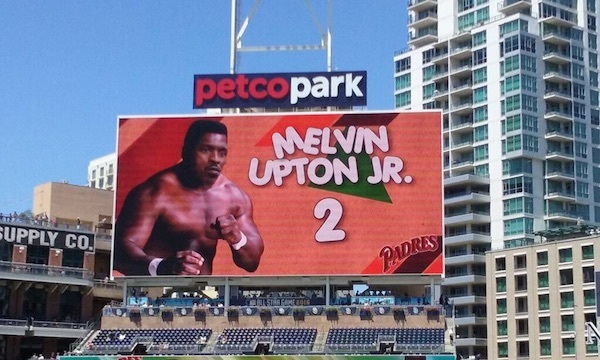 As part of their “Way Back Wednesday” promotion, the San Diego Padres went with an old-school wrestling vibe to introduce their players on the Petco Park videoboard. 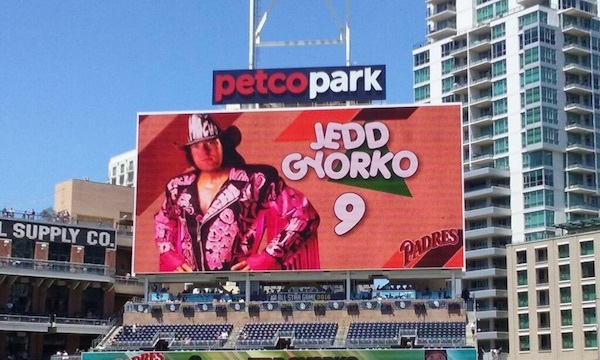 As part of their “Way Back Wednesday” promotion, the San Diego Padres went with an old-school wrestling motif to introduce their players on the Petco Park videoboard. Wearing their throwback 1985 uniforms, the Padres picked up a 3–2 win over the Atlanta Braves on Wednesday. The win was their second straight and seventh in their last 10. 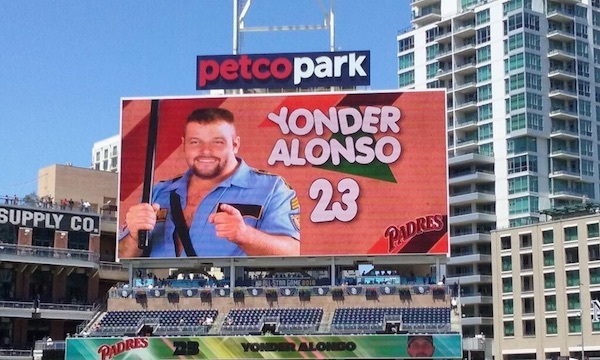 Scoring a run in the sixth inning and two more in the seventh was certainly exciting, but the good vibes can surely be credited to the creativity behind one awesome promotion. 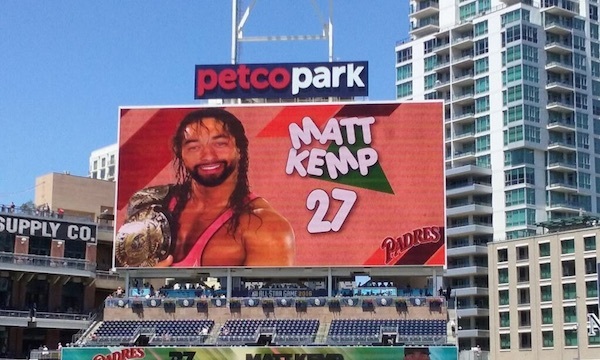 The San Diego @Padres did one of the coolest things ever: http://t.co/21McF4HuZu via @rSquaredCircle. 80s wrestling always wins! 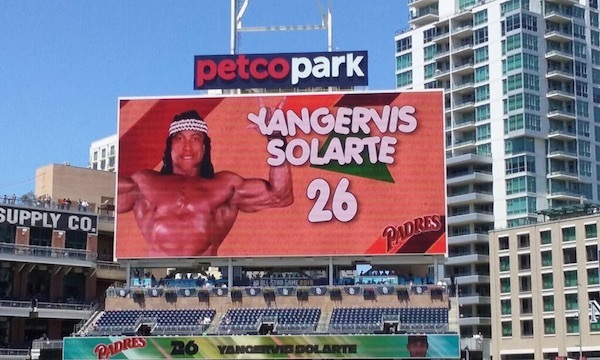 Just incredible work by the Padres—this is what fans want out of ballpark promotions.